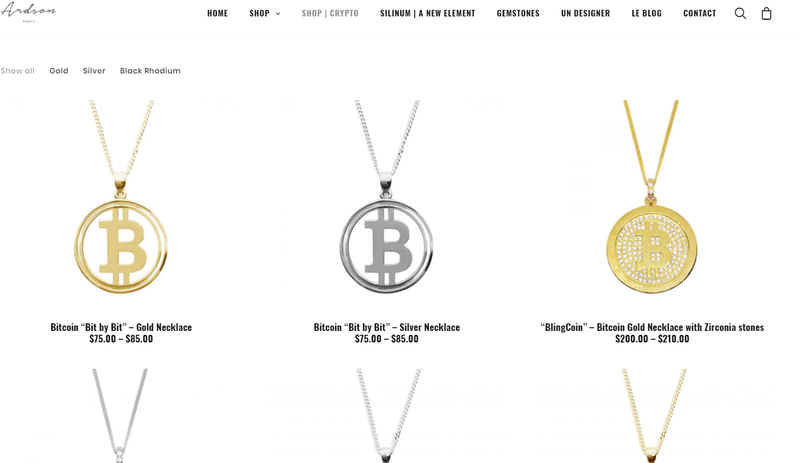 This website ardson is selling the crypto currency related jewelry and it’s one of the most successful websites in this niche. Using our course you can do similar store on Shopify. The bottom line – choose the popular trends and topics and ride the trends! Where to follow Crypto currencies? i look to scale up my business and get more help.. where to find assistants? Check great filipinos workershere onlinejobs.ph and assistant on Upwork, freelancer.com and fiverr! hi friends.. PREP question. do i have to do PREP myself?? No.. There are many companies who are set up just for this type of service, see resources section! First I'm thinking of adding a donation component to my sales. so part of the profit goes to donation. Is it sounds reasonable, regarding the expenses ? hi Gad. Regarding UK question you did not explain if you do dropshipping or FBA? Anyways you can start with UK and expand! Is there AliExpress in UK, so the shipping would be shorter ? Second - is it possible and profitable to creat one store, and then inside to create few nitches in it ? Gad, Aliexpress is a chinese company. They ship internationally but it's always from china. You can watch video on finding local dropshipping suppliers in your niche in UK if you want to go local route. Regarding the store - again it depends on what you plan to sell. See my video about branding talking about small brand or more general brand to have better idea! You need to do your research. To open USA shopify account you will need VPN, some USA forwarding address. But to use USA payment systems you will need more work - US company and bank account. You might also partner with someone from USA. Hai, I am obsessed with online business. I have bought some e-commerce affiliate software, that is completed with with Youtube video review for every product I added. The e-commerce is linking to social media. It covered three affiliate : Amazon, Ebay, and Ali express. Organic traffic is about 8,000 visitors in 3 months, but ZERO affiliate hit. No sales. Then yesterday I saw this system. Here claimed can get usd 45,000/month if we follow all the guide. My question, if we just started with Shopify, and we follow the guide, is it possible to get that number? By some posting I read, the contribution is more come from FBA instead of Shopify. Nice to meet you all here. Glad to have you here. There are many shops on shopify that are doing much more than 45k, it's a pretty modest number but after couple of years you should be doing much more than that. just take your time to learn! We are improving a lot our fb ads, yesterday we've reach 200 orders, and today we are closing with almost 900, but I have a question: How do you manage lots of orders? I use oberlo but is it anything beside 'clicking' to every order? I also, how to deliver automaticaly to my customer when their tracking code is available(?) (this hugh increase is because I just started facebook ads, before I just do everything organic) thanks! 900 orders per day??? wow that is amazing result Ricardo, well done! With such big volume you need to hire virtual assistant to help you "clicking". Oberlo automates prefilling the forms, address, sync of the orders but still some clicking is needed! WELL DONE BRO!!! WAY TO GO! Your story is very inspirational. Are you selling only to Mexican audience with such success? Great success always inspiring for me, thanks for sharing! we are targeting, USA and Our own fan page, we have 3.2 Million people of our niche and more than a half are from mexico, and other parts of the world (latinoamerica for most), I started some years ago managinf only fan pages and make them viral, recently I have this new adventure of ecommerce. If you want you can visit one of them here: fb.com/elrockescultura.org anything else glad to help!! Over the next few weeks, I’d like to do something a little bit different. I thought it would be fun to ask people what they wanted to learn about (so I can customize my future emails to help YOU :-D). What is your #1 single biggest ecommerce challenge right now (and how is it impacting your life on a daily basis)? Click reply and tell me right now. good one! finding time to do all the tasks is my biggest challenge! *store, or do you guys have more than one store in shopiffy? once you have a successful store you can duplicate it into other niches! I am opening more stores too. why limit just 1. once the stroe is up and running no need to baby sit it, just launch the next one! Hello Guys, I am new here subscribed because I am planning to go to the Canton Fair this upcoming April and I want to be prepared to take advantage of this opportunity the best I can. Good luck Jonathan!!! Canton Fair is a way to go!